Lark Tate, right, received scholarships to attend Marygrove College. Photo via Facebook. The hard work had finally paid off. 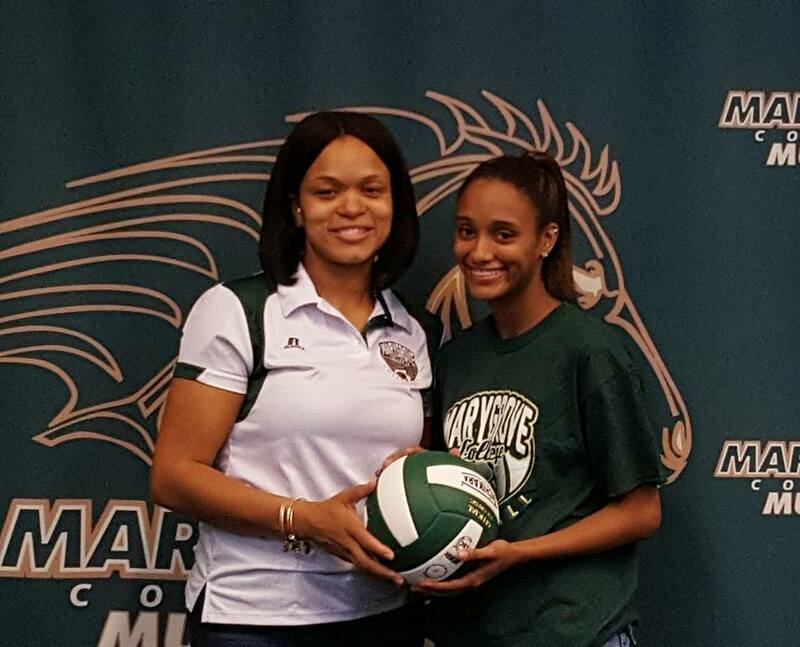 The Cass Tech High School volleyball standout Lark Tate had earned an academic and athletic scholarship to attend Marygrove College in northwest Detroit this fall. Volleyball practice had already begun, and the 17-year-old planned to live on campus so she could focus on her studies. But less than a month before she was to begin her freshman year, Lark and hundreds of her classmates learned that the Catholic school was cutting its undergraduate degree program this winter because of financial problems and declining enrollment. The sudden and unexpected announcement left many students scrambling to find another college. Marygrove, which largely relied on donations from alumni and Catholic organizations, was known for providing financial incentives for underserved populations. About 65% of the students are black. For Tate, it means losing nearly $10,000 in scholarships and attending Macomb Community College. The college announced Wednesday that the undergraduate program would end after this upcoming semester after a consultant’s report this summer suggested the school was in deep financial trouble. The discontinuation of the program predominately affects students from underserved communities. About 65% of the students received federal Pell grants, an indicator of financial need.